Superdry women’s Taiko padded faux fur jacket. Stay warm this season with this on-trend jacket. Featuring a detachable hood with a stylish faux fur trim, double layer fastening, two front zip pockets and elasticated cuffs. 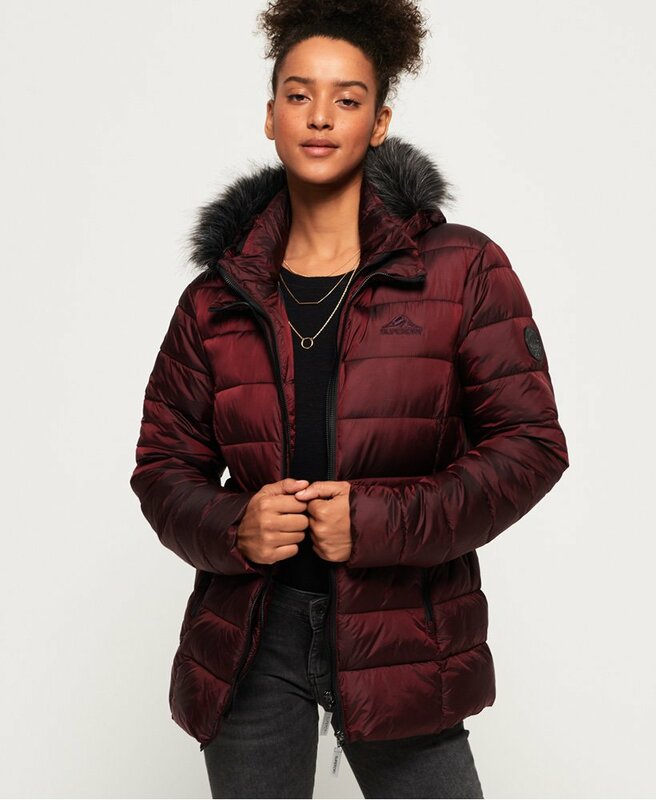 The Taiko padded faux fur jacket is completed with a subtle embroidered logo on the chest and metal Superdry logo badge on the arm.